And along comes another brand new fragrance! 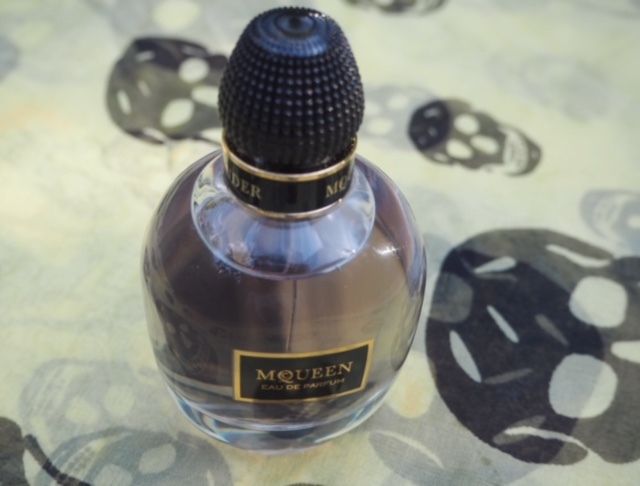 McQueen EDP is a gentler and far more affordable version of the McQueen Parfum which launched earlier this year. 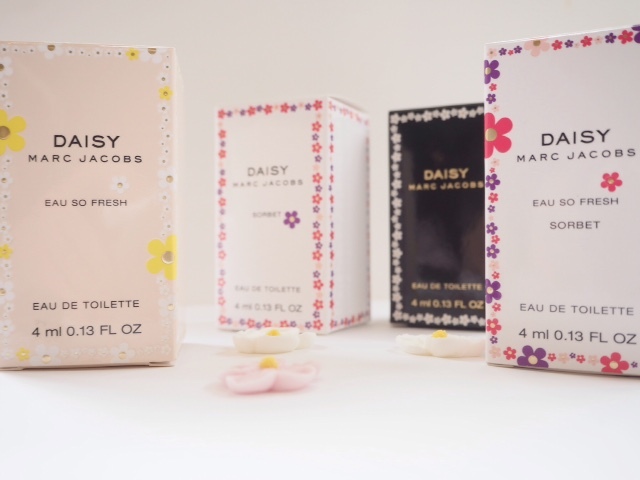 The thing you need to know about the first version, if you didn’t read about it or smell it at the time, is that the core of parfum is night blooming flower essence. 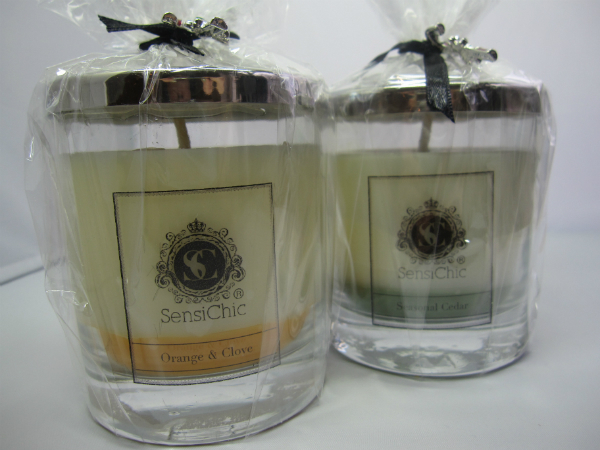 The three main players are jasmine, tuberose and ylang ylang. You know that thing that jasmine in particular does when it starts to give off such a huge fragrance as the evening wears on, and then it tips over into something cloying and almost unbearable? Well, the original is that.. a fraction before it becomes that cloying smell that you can only take a tiny bit of – it’s very impressive that the moment is caught. But, it’s £285 so that rules it out for a great deal of us. The Eau de Parfum version, destined to make its debut at Selfridges on Thursday (28th), is all of the above but in a much lighter, more powdery version. 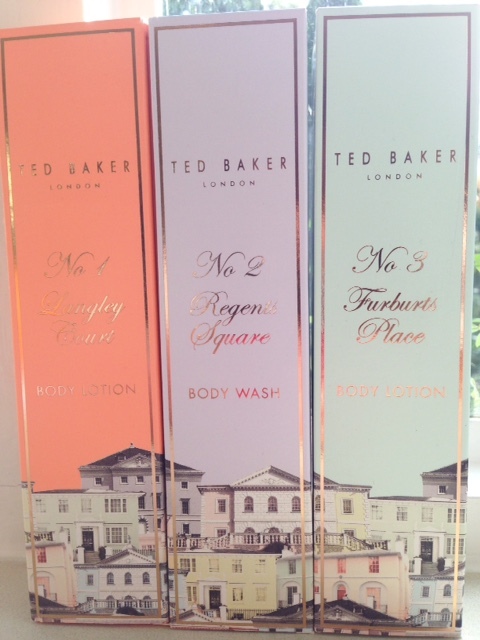 It’s also infinitely more affordable at £55 and given new notes of clove, pink and black pepper and vetiver. 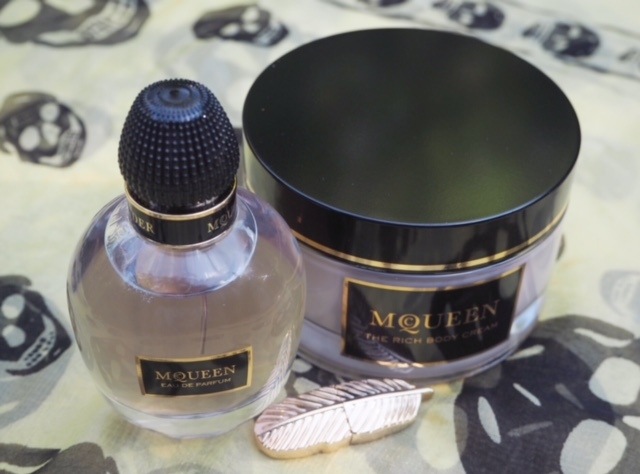 As we all know, Alexander McQueen died in 2010, so this fragance has been overseen by Sarah Burton, Creative Director of the Alexander McQueen brand. 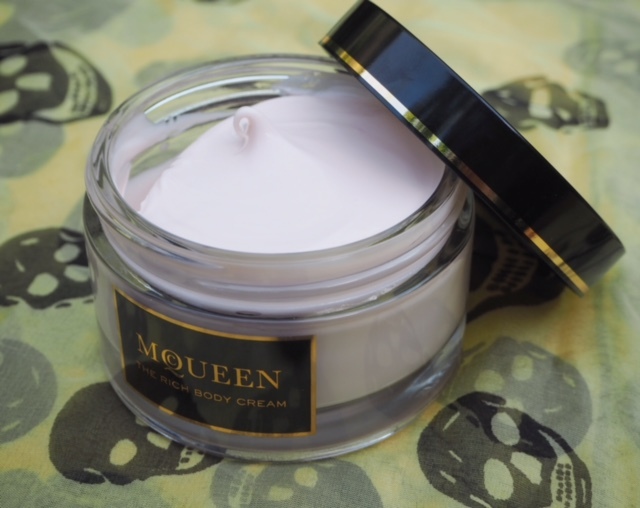 What’s obvious is that the fragrance is very much in the spirit of Alexander McQueen himself – deep and extravagant with dark, voluptuous elements, but washed with spices, vibrant light and a pure sweetness. Sarah studied archives of the first recorded fragrances in the UK and tuned the knowledge to create an olfactory version of crimson velvet in the pure Parfum version. 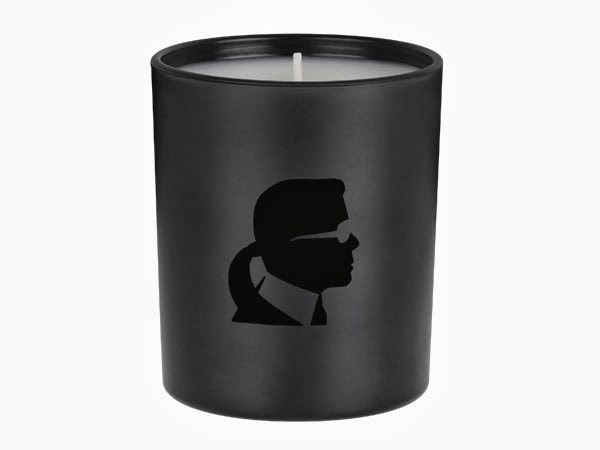 The EDP is still textured in scent – if you can imagine such a thing – soft and tactile. 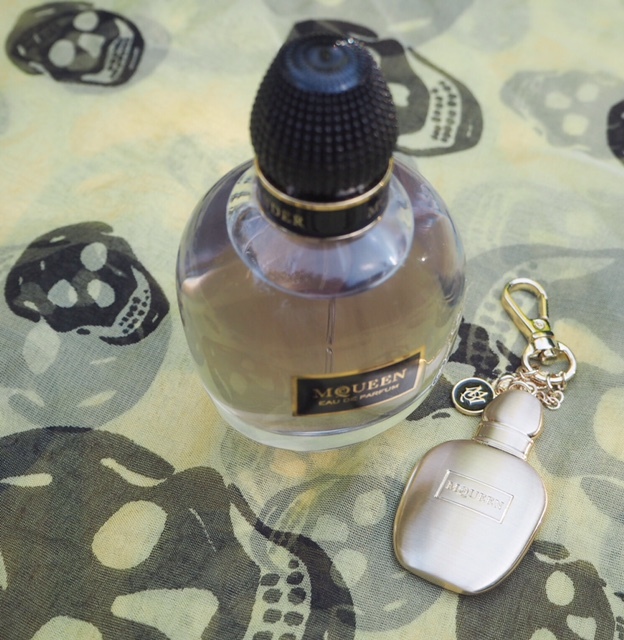 I’m instantly in love with the McQueen EDP – I had everything crossed that it wouldn’t fall into the usual high street trap of being vanilla saturated and candy-in-the-gummy-bear-sense scented and sure enough, it does not. 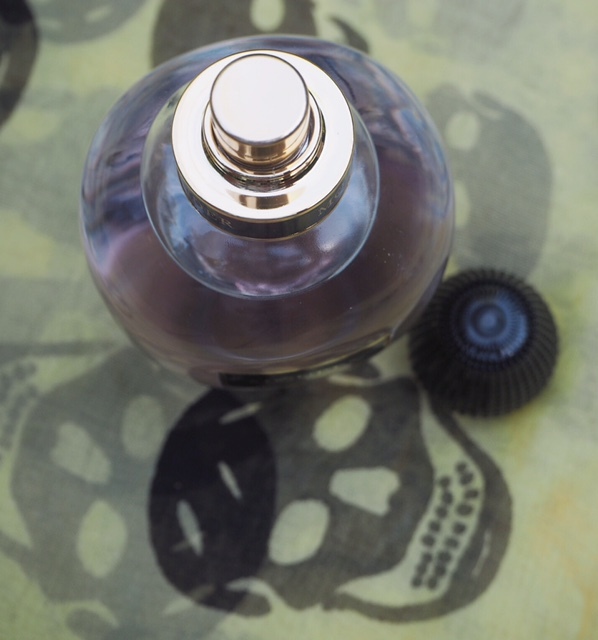 The EDP version isn’t quite as heady, nor as full impact, but I could happily wear this deep, noctural syrup-flower water any day of the week. It’s hit whatever olfactory spot that it is in me that just goes, ‘yes!’. As you can see, there’s a body creme and there will, in due course, be a shower gel. I would definitely urge you to have a spritz in store if you’re near Selfridges, but otherwise, it’s 1st September for the nationwide launch. I definitely can’t wait to try this! Thanks for sharing! Does the little key ring come with it Jane? So cute! No, I don’t think it does.. the feather is a USB stick!